Scott’s hybrid Sportster range is one of the company’s top-selling bike lines. 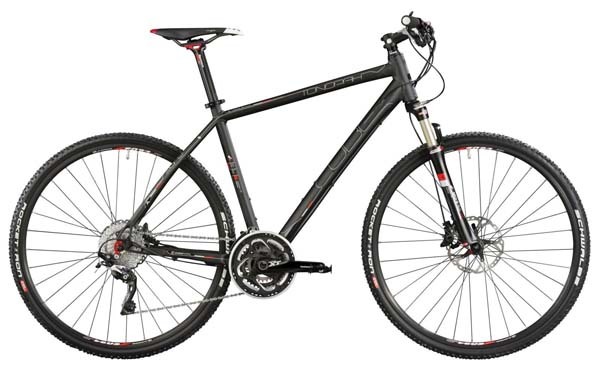 The hybrid-style bikes, as with others on the market, are popular as they cover a multitude of uses. From the daily commute to more adventurous rides, be it touring or pottering along park trails at the weekend, the 700c-wheeled hybrid concept covers most eventualities. Scott also has its own ‘Urban-Kit’, which includes a rack and mudguard system to keep the road-spray off your back for that office commute. On receiving Scott’s range-topping Sportster 10 test bike, I was impressed with the satin grey paint job that covers the aluminium 6061 double-butted tubing, enhanced by white and gold decals and colour-coordinated components, resulting in a stylish, yet pleasingly understated, finish. At just under £1,000, this is a well-specced machine and has proved very popular with buyers purchasing it through the various cycle-to-work schemes. were all the ingredients to put the bike through its paces. The ride positioning is comparable to that of a mountain bike and, as I normally ride road bikes, I found it took a few miles to get into the technique required. 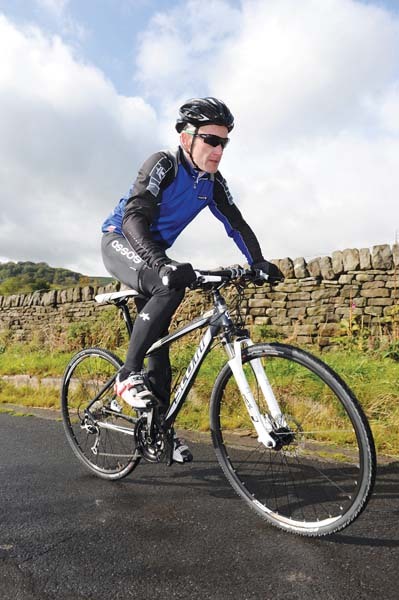 The great benefit of this bike’s 700x35c cyclo-cross-style tyres meant it felt slightly less sluggish on the road than the mountain bike I had tested previously. Obviously there is some compromise in the traction and stability on rough ground, but if you wanted pure off-road capability then you would probably get a mtb anyway. With the cross/hybrid set-up you get the best of both worlds as was intended, and not only that: my road bike toolkit and spare inner tubes could be strapped straight under the Sportster saddle without having to stock up on 26in mtb inner tubes. 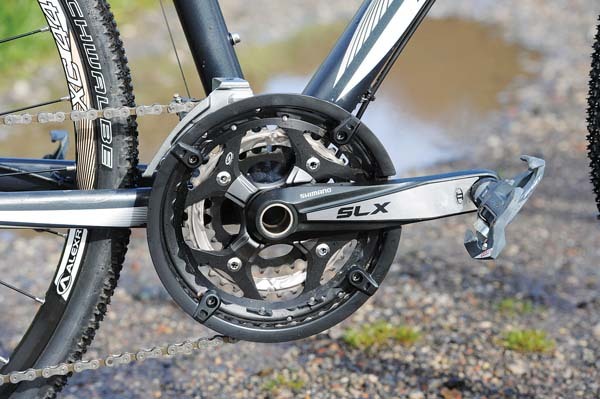 The Sportster’s Shimano components are taken from the mid to upper ranges of its product portfolio, with a mix of Deore, Deore XT and SLX adding to the quality look of this bike. The Deore SL Rapidfire shifters give smooth, slick changes across the nine-speed block allied to the triple SLX chainset, and gave all the gearing ratios I required to tackle the obstacles that lay ahead. Those gear ratios would also be ideal should you want to use the bike for touring once you have all the added weight of panniers on board to haul up the hills. 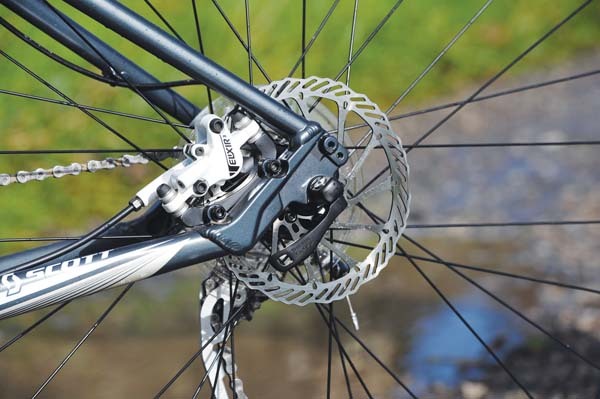 The hydraulic Avid Elixir disc brakes would also be easily up to the job. They are reassuringly powerful and, should you go through a ford or two as I did, it’s good to know they can still pull you up better than a damp, muddied rim brake would do. or more. and I found I was bottoming them out at times. This is not really a criticism of the component as I was going beyond what they were designed for. On forest and parkland trails they are perfect, giving that bit of damping to smooth your way. This was something I found later when I tested the bike along the local park trails and bridleways up the Porter valley near my Sheffield home. On the tarmac, the bike does feel stable when descending at speed and there is also the option to lock out the forks via the neat remote lever on the handlebar so you can adjust the fork damping easily to your requirements. Some care should be taken when washing down the Sportster as the trimmed plastic cable-ties used to secure the cabling at brazed cable guides along the tubing, were rather sharp. It may only be a minor niggle, but I did manage to cut myself — several times. Other manufacturers use a similar arrangement so it’s not specific to Scott. In conclusion, Scott has a bike that is up there with the competition at this level in a very competitive area of the current marketplace. I’m hoping I can hang onto the bike just a bit longer to see how the set-up gets to grips out in the snowy conditions that are forecast once again this winter. For 2012 the Sportster 10 will come in a black/red finish with a similar equipment spec but will retail at £1,049.00.